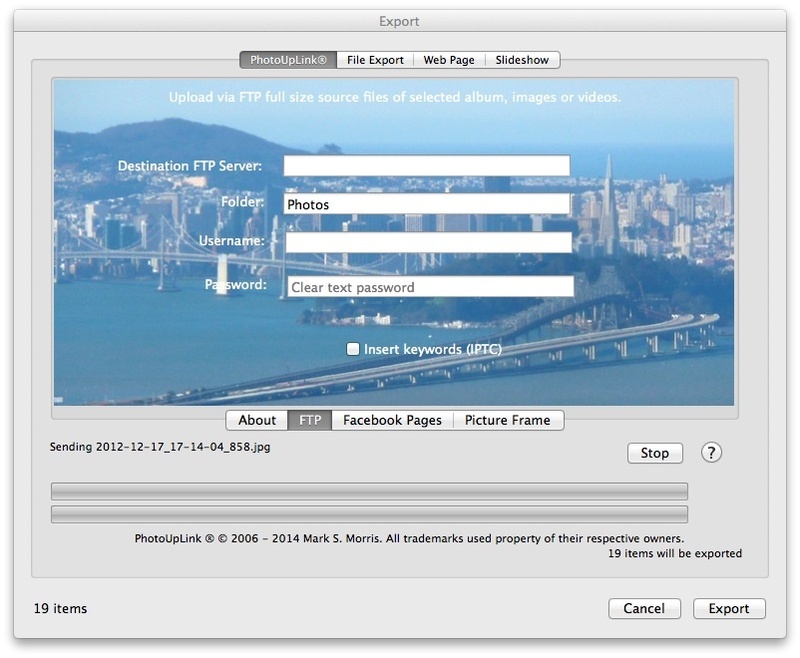 iPhoto FTP export plugin (alpha). Is there a better alternative to PhotoUpLink for iPhoto? Is PhotoUpLink for iPhoto really the best app in Image Editing category? Will PhotoUpLink for iPhoto work good on macOS 10.13.4? 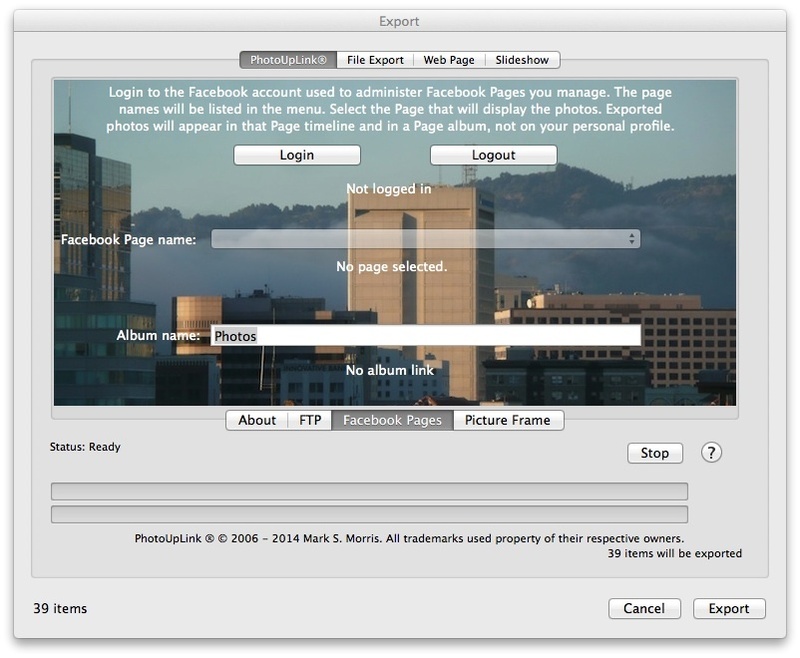 PhotoUpLink is an iPhoto export plugin that allows users to send images and video to any FTP server. The Facebook Pages feature enables uploading of image albums to any Facebook business, brand or product page directly from iPhoto. From the Facebook Pages tab, login to the Facebook account you use to manage pages, and approve the PhotoUpLink Facebook app. Any Facebook Page you have Content Creator / Administrator access to will be listed for you to select in the drop down menu. Choose the destination page, and click Export to upload the album or selected photos. PhotoUpLink for iPhoto needs a rating. Be the first to rate this app and get the discussion started!